That’s the Carnival of the Mobilists (COTM) of course. 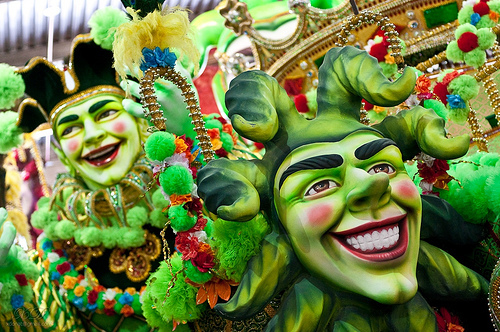 The Carnival is a monthly celebration of the best recent blog posts on mobile topics from around the world. It’s been appearing regularly on a (not-totally) random blog since 2005. The Carnival exposes readers to new writers and a month’s work of quality insights into diverse areas of mobile world. For blogger’s, the Carnival provides some recognition, a quality link back to your site and usually a little traffic boost. To participate simply send an email with a link to the post you would like to submit. Your post can be about any aspect of mobile including mobile apps, sites, devices, operators, business strategies, marketing, advertising, development, analysis or anything else that’s related to mobile telecommunications. Send the email to mobilists AT gmail DOT com by 8 AM PDT (16:00 BST; 17:00 CEST, WAT; 20:30 IST) next Monday, Sept. 12th. You can optionally include the name or handle you would like your post credited to and a brief blurb about your post. I will choose ten or more of the best submissions and post a link to and a short description of each. I will also award one entry the Post of the Month title and pick another as the Best Post by a New Carnival Participant. For more about the Carnival of the Mobilists see the Carnival organization’s site at mobili.st. This entry was posted in Carnival of the Mobilists and tagged blog carnivals, COTM by Dennis Bournique. Bookmark the permalink.